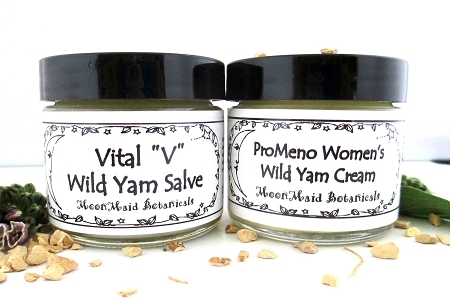 All of our organic wild yam salves & creams are made in small batches and are safe to use - free of hormones or harsh chemicals & preservatives. Sip natural teas and treat yourself to antioxidant moisturizers & skin creams, fantastic goat milk soap, and soaking salts for a relaxing bath time. Women and men and men everywhere will benefit from the best natural herbal alternative relief for menopause, PMS, yeast infection relief, and other ailments.